My second concern is the long-term toll these events, still ongoing, will take on Thai golf tourism — one of the country’s largest and fastest growing tourism segments. International arrivals according to the Airports of Thailand dropped 4.1 per cent over the same period last year. Practically all meetings and conventions in Thailand have been cancelled. Some analysts are now predicting up to US$500 million could be lost from the Thai economy, hitting retail and tourism businesses hardest. It’s hard to strike the right balance in assessing the effects going forward. It’s disrespectful and simply untrue to assert that things are going forward, and will go forward, as normal. This is the worst political violence in 20 years. But it’s also true that this is a country where the military has staged 18 separate coups since the 1930s, a country where politics are raucous and protests are common place. I mean, the past week’s event have shaken the Thai people. No question. 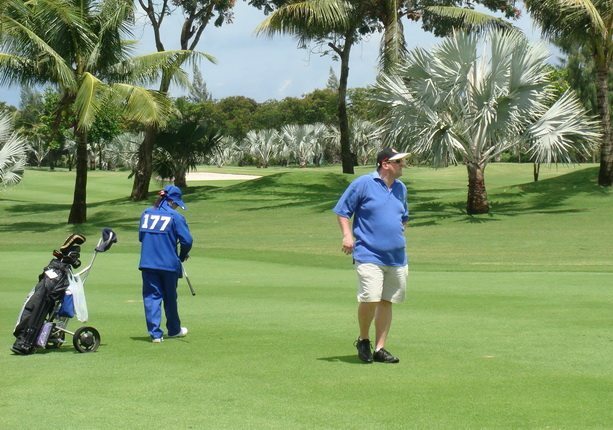 But from a tourist and Thailand golf holidaymaker’s perspective, things will recover quickly. They always have.